Container adoption can be complex. To gain the full benefit of containers, businesses need a flexible program that delivers a modern, container-based infrastructure—with the necessary organizational process changes. 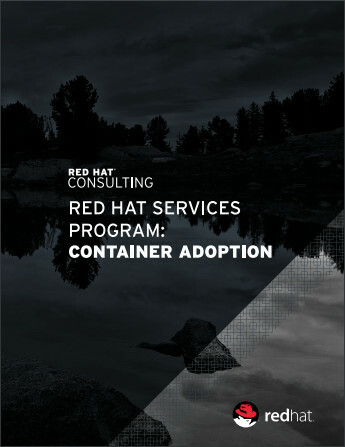 Red Hat® Consulting’s container adoption program addresses three workstreams—infrastructure, release management, and application development—turning isolated container experimentation into scaled container adoption while simultaneously transforming IT teams and processes. Read the e-book to learn more.